You Can Cop These Air Jordan Future Lows Today! The Air Jordan Future has made their way into people's collections over the last year. They've released a slew of colorways for the silhouette, and they hope to continue the momentum with their Air Jordan Future Low. The newest colorway hitting retailers is a GS exclusive that most sneakerheads will want to cop! 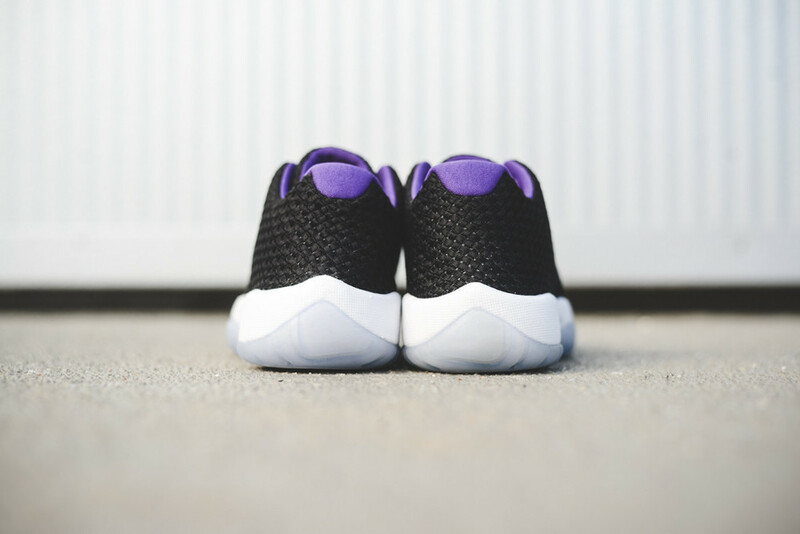 This rendition of the Air Jordan Future Low is made up of a woven black upper, purple accening on the insole, heel, and laces, and ghost green on the tongue. 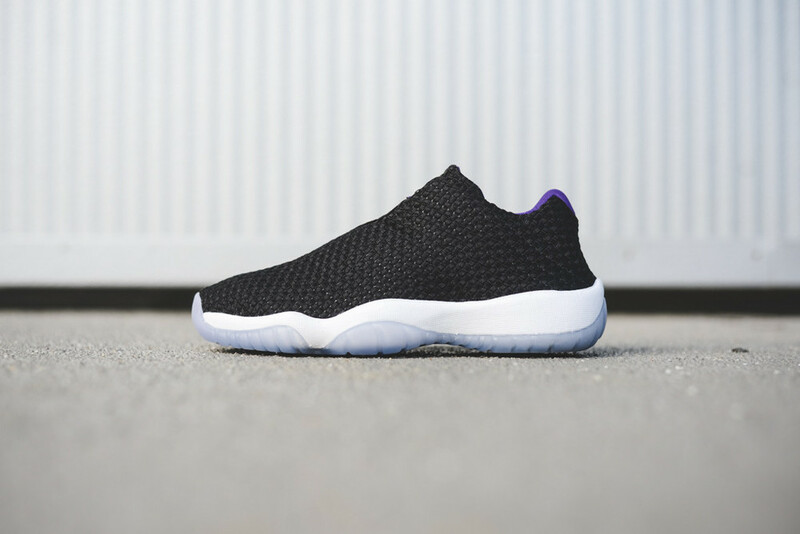 Finished off by a white midsole and blue translucent outsole, this Air Jordan Future Low is available right now! Get a pair today, and let us know what you think of the sneaker below!